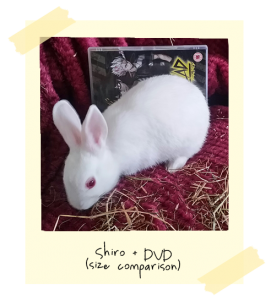 Shiro is a dwarf rabbit, and I took this picture to show how small she is. 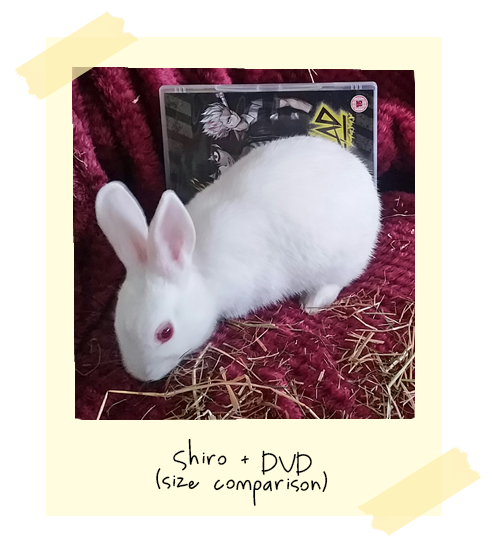 This is her when compared to a standard DVD size. She’s fully grown in this picture.